What is A White Witch and How Can You Become One? The mere term “witch” conjures up images of ugly old ladies with bulbous noses, warts, black hats, brooms, and cauldrons. Even in today’s more accepting climate of a variety of spiritual practices, it is easy to visualize this stereotypical image when hearing the word witch. Yet, witches and witchcraft are reverent, deeply spiritual individuals who worship the Earth, the Goddess and God as well as the entire lifeforce. To complicate matters, those who are interested in learning more about Wicca or Witchcraft, find that there are two basic types of witches. There are black witches and white witches. But what are the differences? The concepts behind these labels are always evolving. To some of the most modern witches today, there is no such thing as either a black or a white witch. To some, there are such things as gray witches. Without complicating the definition, these are individuals who practice witchcraft and believe in the neutrality in all things in nature. This article focuses on answering the question what is a white witch? What is A White Witch and What Makes Them Special? Basically, white witches are those who practice goodness and benevolence in all they do. They do not cast spells to harm others or to do selfish things for themselves that would involve intentional harm to others. 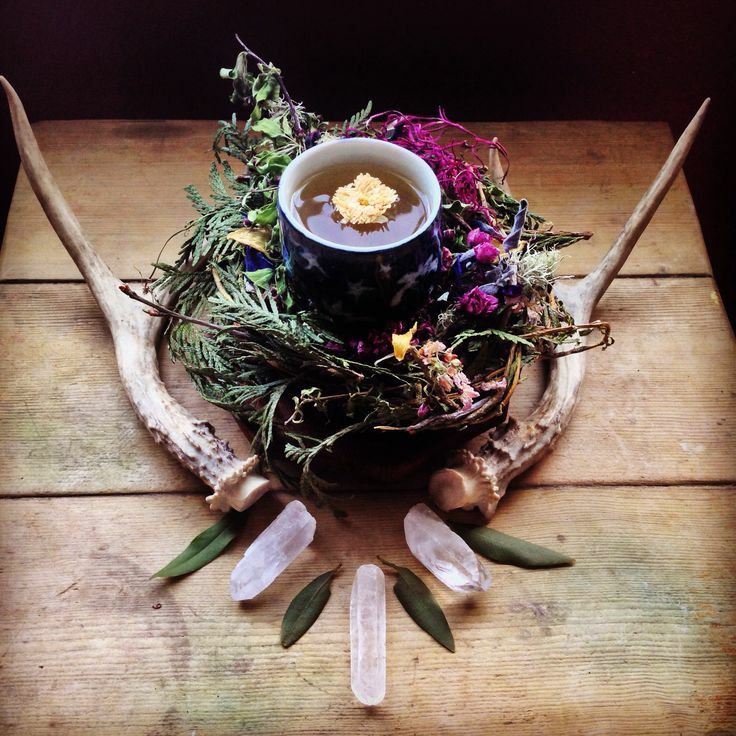 White witchcraft can be distinguished from black magic – or magick – because it involves the worship of the Earth, the Goddess, the God and the Wiccan holidays which are the Sabbats and The Esbats. White witches live by the Wiccan Rede which is loosely stated as And shall it harm none, Do what Ye Will. This is the law by which all white witches live by. White magic is different from black magic but to some, it is not necessarily special. There are many beliefs by the individuals who practice magic and some people believe there is no way that total good can always be obtained from any spell even if it is being done with the purest intent by a white witch. White witches, however, do not go out of their way to cast spells that will harm anyone. For example, a white love spell might involve having an individual give off a particular energy that attracts perfect, romantic love. A black magic spell might involve breaking a married couple up so that the black magician can be with the partner they desire. These are broad examples but should illustrate the differences a little more clearly. Another way to define the differences is by explaining the two paths of magic. There is a left-handed path and a right-handed path. White magic is the right-handed path that also holds the belief in a form of karma. Anything a white witch does will come back to them in threes. White magicians are also considered to perform natural magic because of their close ties to and love for all realms of nature and spirit. A beginner interested in any form of magical practice should understand the difference between Wicca and Witchcraft. Wicca is the religion. Witchcraft is the practice of the Wiccan religion. How is White Magic Used? Now that you are clearer about the answer to what is a white witch you may want to know more about how white magic is used? It can be used to protect anyone from black magic, it can be used to reverse curses, and it can be used to bring about love and any other positive outcome in life. White magic can be used to help find a good job or improve luck with money. Some people consult white witches to improve their careers or succeed in their businesses. White magic spells can often help a person springboard themselves into a more positive or healthy mindset. This alone can help them attain the success they want in some cases. The way white witches work is similar to other witches. They cast circles and often make use of rituals at a personal altar if they are sole practitioners. Witches are either sole practitioners or they work together in a coven. They perform spells which can help other people improve their lives in many ways. Some witches will create spells just for a particular individual and their circumstances. Sometimes, they will use traditional spells. What makes spells effective is the intent behind them. A white witch can use magic for very good purposes, but the spells are only as good as the intent behind them. This is why many witches have natural talents in psychic abilities and other supernatural areas. It is when some individuals notice that they have these gifts that they realize that they are witches. However, it is also believed that everyone has psychic abilities to an extent. These powers can be developed when working along the Wiccan path and when working spells and performing rituals. Now that you know what is a white witch and what their magic does, you might want to know more about how to become one. You have already taken the first step by acting on your curiosity! The best thing you can do to get started is to keep reading up on Wicca and Witchcraft. You can read plenty of articles on the Internet, but do not forget to read as many books on the subject as you can, too. Borrow them from your local library or buy them at bookstores. Used bookstores in your area may have some rare books that give you more information and greater perspective than you can imagine. Use the Internet to connect with like-minded people. There are many would-be or newbie white witches who are looking to assist people like you as they embark on their journey. You might also check to see if there are any local groups that meet. Meetups or classified websites like Craigslist often have local pagan group postings. If you do not know anyone close to you that can offer you more information about becoming a white witch you might want to look into joining one of these groups. Start a journal in which you keep notes about the things you learn as well as the things you want to learn more about. If you start having any intuitive hunches or vivid dreams, make note of them in your journal. This is Spirit’s way of guiding you on your new path. Some people call their journals their Book of Shadows. You might want to start a Book of Shadows in which you eventually write down any spells you cast or create. Make note of any interesting encounters you have while out in nature. Speaking of which, make sure to get out and spend more time in nature. You want to start bonding with the Earth and all the forces surrounding you. Use your time to meditate. It is vital that a witch has an excellent ability to focus. Learn to meditate to help improve your concentration abilities. Ask yourself what you want from your practice. This is something that will change over time. But, why do you want to be a witch? Are there specific things you want to change in your life? Do you see yourself helping others in the future with your abilities? You want to do all the learning and research that you can for a good while before you start buying tools and creating your alter. Although, as you delve into the world of white witchcraft, you are almost certain to experience some magical moments where things like tools appear or show up in your life like unexpected gifts. These are not coincidences. They are Spirit’s way of letting you know you are on the right path and that you are being supported by unseen forces. While you do want to seek guidance from other witches or practitioners, you might not want to join a coven right away. In fact, you probably need some practice before you can even join a coven. There are online groups that will accept new members, but if you do join any group get some knowledge and understanding about the world of Witcraft and Wicca first. You might want to seek out a mentor or a teacher before you jump into any group situation. Also, you might find that as you learn more about white witchcraft that you want to become a sole practitioner instead of ever being part of a group. Finding something like this out is part of the process of learning. Get familiar with the basics of Wicca, learn about myths and elementals. Study all you can about psychic phenomenon and other supernatural powers. Learn about the Sabbats and other Wiccan holidays. Learn about the history of witches, too. If you are sure, after some time, that you not only want to become one but you feel as if you are a white witch, you can start getting going on committing to becoming a practitioner of the craft. Be patient with yourself. It is understandable that you might feel eager about becoming a witch right away. But, be patient. You must learn as much as you can to form the proper foundations for your life’s path. You want to do what feels right for you. This is one reason why it is so important to start out on the study of Wicca alone. You need to trust your own power, and you need to learn how to harness your own abilities. You must learn what your strengths are and what you need to work on. You do not want to throw yourself immediately into a group that, as it turns out, is not practicing in a way that feels comfortable for you. Know yourself! It is truly one of the most important qualities any witch can possess. You can also get a better idea of whether you should join a group or not by determining what appeals to you. Do you enjoy sitting outside in a forest surrounding, listening to nature and your own spirit for guidance and wisdom? Do you trust your dreams and intuition? Or, do you feel like you have to be in an environment where candles and incense are burning? Do you feel like you have to be dressed in robes like others in your group, holding a sword or athame? You need to take time to determine which type of setting is most inspiring for your magical work to bear fruit. Take advantage of using your ability to tune into your intuition to help make this decision. You will get the answers you need. If joining a coven or group is best for you, you will be led to make that step. If you are going to practice alone, you may still be guided to a wonderful mentor or friend who can help you get off to a great start. Laying the foundation for your craft will take time and work, but it will be worthwhile. Be patient and keep journaling. You will discover for yourself where you want to go as a witch or if you even want to go there! Being a white witch may not be for you and you might discover that your innate talents are better put towards different modalities of spiritual practice. Once you do decide that this is the path for you, then you can begin collecting tools for your alter. You can start buying candles, oils, and incense to help you as you start performing your first few spells. When you decide to embark on being a white witch, you can help the entire planet with your abilities and intent whether you practice alone or in a group. Always follow your intuition and always remember that the Wiccan religion involves the practice of Witchcraft. You will constantly become a better and more experienced witch, but it will be a lifelong process. Hopefully, it will be one that brings you and others much fulfillment.